Newsletter Blog Apply Now Live in Scotland? Rossendales Bailiff Enforcement Agents – what to do when they come knocking! Are you expecting a visit from bailiff enforcement agents from Rossendales? Don’t panic, read on. We’ll explain who Rossendales are, why their bailiff enforcement agents are visiting you and – most importantly – what you can do about it. Who are Rossendales bailiff enforcement agents? Rossendales Ltd provide bailiff and warrant services to local government and the public sector. They were established in 1972 and are one of the biggest bailiff enforcement agents in the country. They collect over £92 million on behalf of their clients every year. As bailiff enforcement agents, Rossendales have the legal power to collect debt on behalf of their clients. They have over 140 clients including district and city councils, metropolitan and unitary authorities, London boroughs and consortiums. They are authorised and regulated by the Financial Conduct Authority. They pride themselves on working to their clients’ policies on social inclusion, customer care, equality, environmental issues and diversity. This means that if you deal with them you can expect them to treat you fairly and reasonably. At the same time, they know that their clients are under pressure to collect unpaid debt and will always be acting in their best interests not yours. If you have got problem debt and things have reached the point where bailiffs are about to be used, the size of Rossendales means it is highly likely that it is one of their bailiff enforcement agents you’ll be dealing with. However, even if you have received a letter from Rossendales and are expecting a visit from them, it is not too late to sort things out. We help hundreds of people who have problem debt every day. Call us on 0300 302 1806 for free help and advice on how to handle Rossendales bailiff enforcement agents. When can you receive a visit from Rossendales bailiff enforcement agents? Rossendales bailiff enforcement agents collect debt on behalf of public sector bodies such as councils. 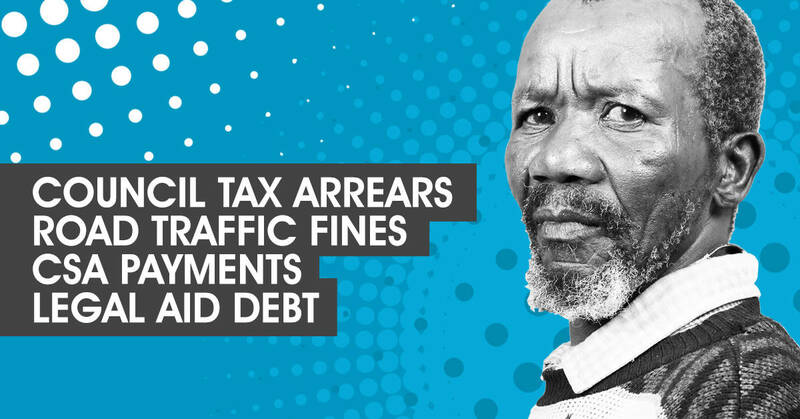 This means they can become involved when court warrants are issued to collect debt such as council tax arrears, missed Child Support Agency payments, road traffic fines, tenant arrears and housing benefit overpayment. If you have got problem debt in any of these areas and a court warrant has been granted to collect the money, Rossendales bailiff enforcement agents could be appointed by your creditors (the organisation you owe money to) to collect the money on their behalf. If you have received a court warrant or a letter about a visit from Rossendales, don’t panic. Get in touch with us on 0300 302 1806. We will give you all the advice and support you need free of charge. What rights do you have when Rossendales bailiff enforcement agents visit your home? Like all court bailiffs, Rossendales bailiff enforcement agents have certain powers given them by law. However, there is a lot of fear and mystery around what they can and can’t do. It is important that you understand your rights so you know the best thing to do if they visit your home. If Rossendales bailiff enforcement agents visit your home you DO NOT have to let them in. You must invite them in. If you decide to let them enter, they can begin to take your possessions to repay your debt. It is important to know that if you have let them enter your home once, they can enter your home again if they need to visit to collect more possessions to repay your debt. If you decide not to let them enter on their first visit, you can also refuse to let them enter on future visits. So it is important to consider your options very carefully on their first visit. It is also important to know that Rossendales bailiff enforcement agents can collect possessions from outside your home (such as your car) whether you let them in to your home or not. Many people believe that bailiffs such as Rossendales are allowed to use unreasonable force to enter your home. This is not true. Bailiff enforcement agents cannot force their way into your home by breaking a window or using violence. However, if they hold a court order, they can be entitled to enter your home using reasonable force. Reasonable force includes forcing a door. This means they can enter your home even if you have not invited them in. Knowing that in some circumstances bailiff enforcement agents such as Rossendales can use reasonable force to enter your own can make your debt seem even more frightening. If that’s the case, it’s important to seek advice as soon as you can. We help hundreds of people in debt each day so there is nothing to be embarrassed about. And because our service is free, you don’t have to worry about the cost. Call us now on on 0300 302 1806. What can you do if Rossendales bailiff enforcement agents visit your home? If you receive a visit from Rossendales bailiff enforcement agents, your best course of action is to be open and honest with them. Try to arrange to repay your debt with them. If you cannot afford to repay the debt in a lump sum, try to arrange a repayment plan. If you try to arrange a repayment plan, you must make sure that you can afford to make the payments so you do not get into any deeper debt. However, Rossendales bailiff enforcement agents can refuse your repayment suggestions and suggest their own instead. If you cannot afford their suggestions, it is even more important to contact us for our help. We have lots of experience in dealing with Rossendales bailiff enforcement agents on behalf of people in debt. We can help you create a repayment plan that you can afford and is approved by your creditors (the organisations you owe money to) and Rossendales bailiff enforcement agents. Perhaps even more importantly, our help will mean you are no longer alone. We will act on your behalf, saving you stress and fear. We will give you all the advice and information you need. In short, we will help you sort out your debt and help you get your life back on track. Call us today on 0300 302 1806. Fill in your details below and we’ll call you back to discuss how we can help. Bailiffs: What can they really do? Who are ScotCall Debt Collection Agents and What Powers Do They Really Have? In debt with Council Tax? Act today to avoid tomorrow’s knock at the door! Owe money to Rossendales bailiffs? Don’t panic, free help is here! Enter your name and email address to receive our Newsletter.